Range anxiety – the fear that a car will run out of battery before its occupants have reached their destination – still continues to hold back electric vehicle sales. 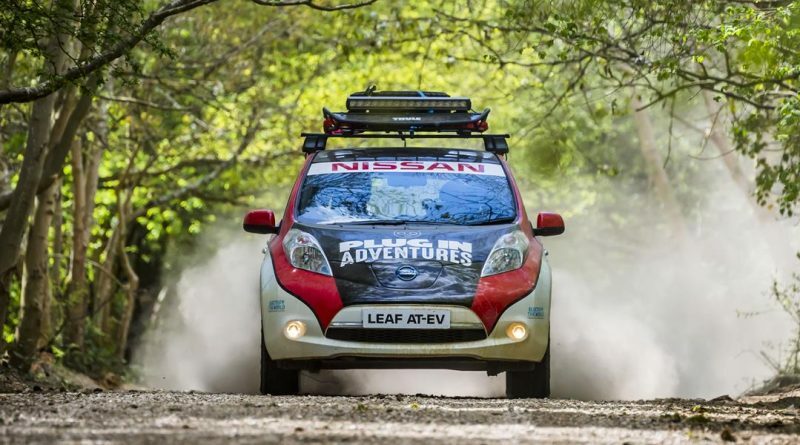 Electric vehicle advocates Plug In Adventures hope to change perceptions as they take a Nissan Leaf from the south coast of England to Mongolia. The modified Leaf Acenta has just started the Mongol Rally, a race across continents that covers some 10,000 miles through everything from comfortable European motorways to unmade and unmapped roads in Kazakhstan and beyond. A standard Leaf is unlikely to cope with some of the rougher terrain, so the rally car, renamed the Leaf AT-EV for All-Terrain Electric Vehicle, has been fitted with spacers in the suspension to add height, with Speedline wheels and Maxsport tyres. There’s also a roof rack with an LED light bar attached that does a passable impression of the sun. Finally the rear seats have been removed, leaving enough room for the two months of supplies and spare wheels the team will need to take with them. However, mechanically it’s just a regular Leaf. There’s no special battery, no extra power storage, and no special gearbox to eek out any more range, which means the team will need to recharge the car every night and at least once through the day. Having driven the car around a private rally stage in the south of England, it certainly feels normal. There’s more noise as gravel gets thrown up into the floor, the sound no longer insulated by the rear seats and carpets, and the taller suspension arguably makes for a smoother ride, and adds a psychological lift as the electric car is driven into deep, murky water. As speed increases, it settles down on its springs and starts extracting more grip from the gravel than would seem likely. 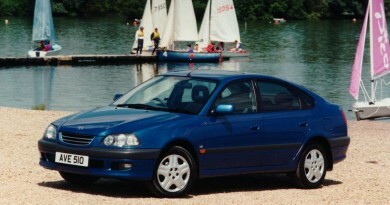 It’s actually rather well suited to being a rally car, but it remains an everyday Leaf. Even the dashboard is identical to one you’d find in your local Nissan dealer.